When the volume of data in a worksheet grows to dozens of rows and columns with different values, combing through the table can be a challenge. Instead of looking for the needed criteria in a long list, use this tool for a quick review - filter a list by value in a selected cell or filter multiple values in one column. 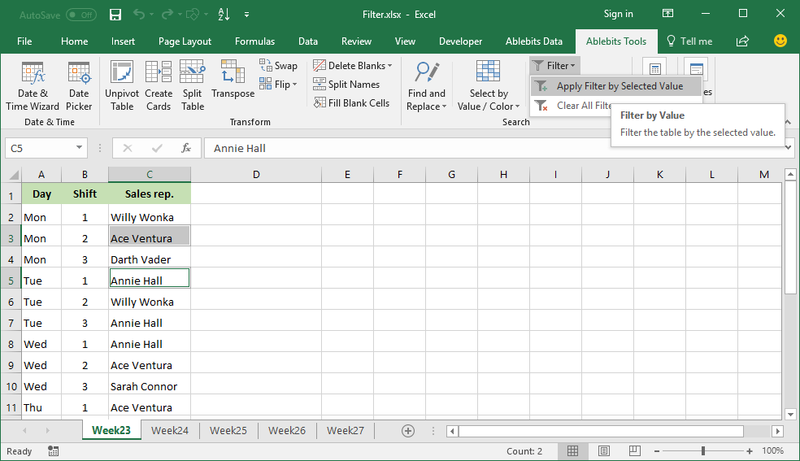 Filter a column by cell value Instead of scrolling through a long list of filters, select the required entry right in your sheet. Filter by multiple values Select two or more cells, either contiguous or scattered, and have the column filtered by multiple values. What is Filter for Excel and what do I need it for? 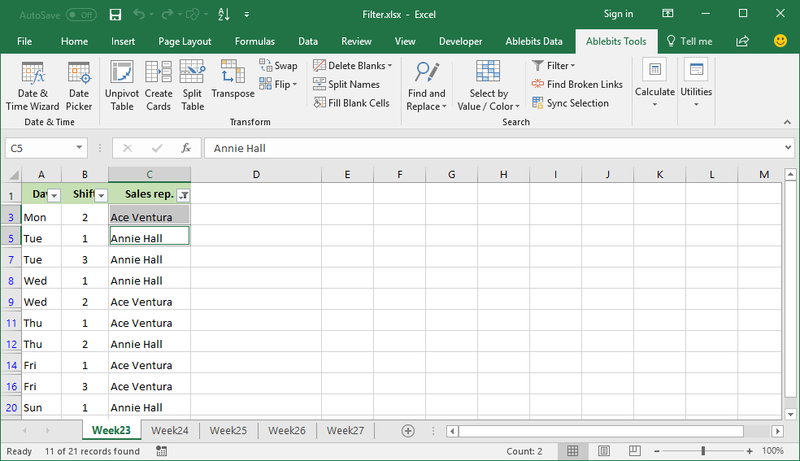 It is a one-click utility that accelerates filtering columns in Excel by minimizing the number of mouse clicks. In what way does this filtering tool differ from the built-in one? The key benefit of our Filter for Excel is that it allows filtering a column by cell value as well as by multiple values that you select. In cases when you've got a long list of values in one column, this will save your time significantly. 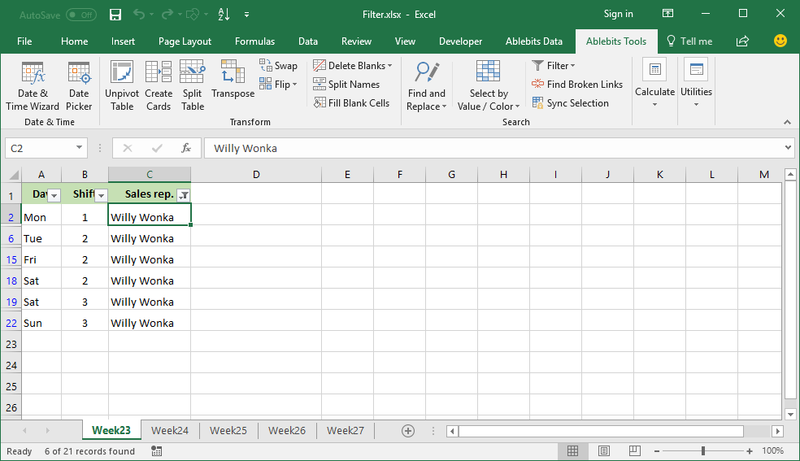 How to add filter in Excel with this tool? Select one or more cells containing the needed values, go to the Ablebits tools tab, and click Filter > Apply Filter by Selected Value. How to remove filter in Excel? To clear the filter, click Filter > Clear All Filters.